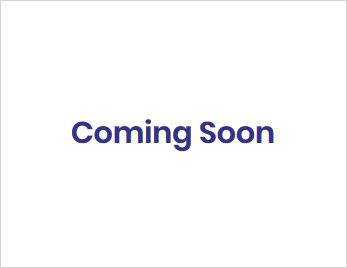 Just-in-time delivery, stocking programs and variable release shipping support inventory initiatives and help improve your bottom line. Lean manufacturing and Six Sigma practices optimize efficiency and improve quality control. Strict guidelines and processes for sustainable quality control assurance are in place throughout our production facility. Stone City customers can expect products to be delivered to their specifications. Our approaches to quality assurance testing and maintenance ensure our products are manufactured within very tight tolerances. We are committed to implementing the latest technological advances and quality systems available. Stone City uses the tools and techniques of Lean manufacturing and Six Sigma to monitor and improve quality control, optimize efficiency, reduce set-up time, enhance safety and shorten lead times. For our customers, Stone City’s Lean Six Sigma practices result in better pricing, faster delivery and superior service. 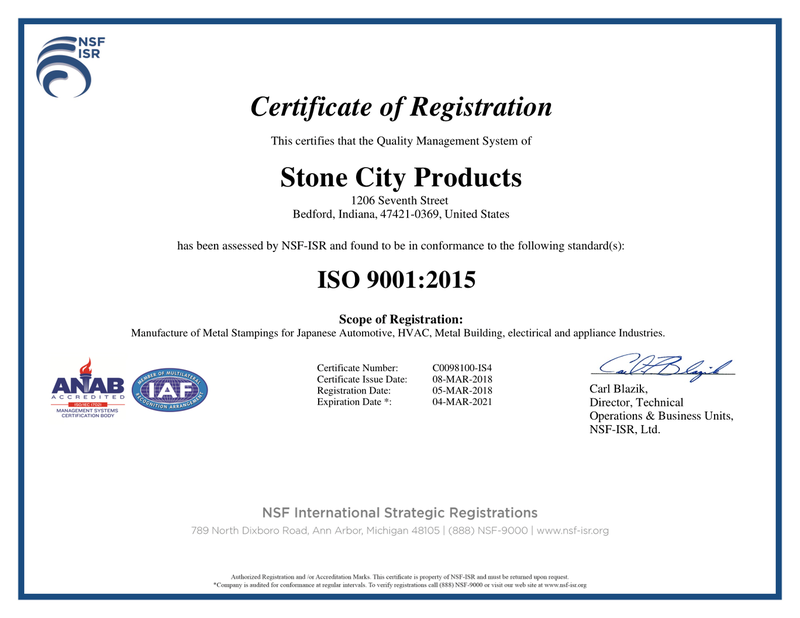 Stone City is an ISO 9001 registered supplier within the scope of Manufacturer of Metal Stampings for Japanese Automotive, HVAC and Metal Building industries. ISO 9001 is an international standard that focuses on continual improvement with an emphasis on defect prevention and the reduction of variation and waste. Many production processes are closely monitored using SPC to assure variations are corrected before they approach tolerance limits. Quality assurance testing on both tooling and products is done by collecting data with our state-of-the art Coordinate Measuring Machine (CMM) as well as with our attribute gauging. Our Tool and Die department diligently adheres to a regular maintenance, repair and rebuilding schedule. Quality control is enhanced by keeping equipment in peak operating condition.